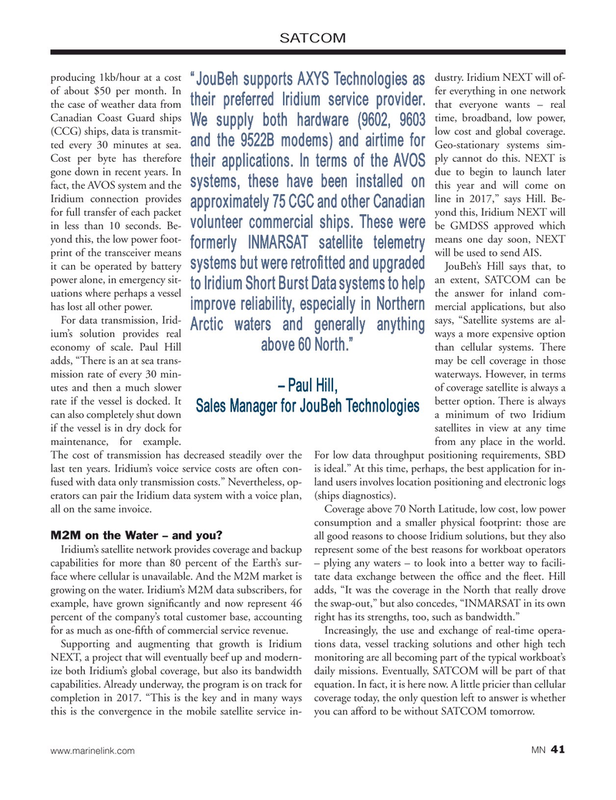 Sales Manager for JouBeh Technologies can also completely shut down a minimum of two Iridium if the vessel is in dry dock for satellites in view at any time maintenance, for example. from any place in the world. The cost of transmission has decreased steadily over the For low data throughput positioning requirements, SBD last ten years. Iridium’s voice service costs are often con- is ideal.” At this time, perhaps, the best application for in- fused with data only transmission costs.” Nevertheless, op- land users involves location positioning and electronic logs erators can pair the Iridium data system with a voice plan, (ships diagnostics).